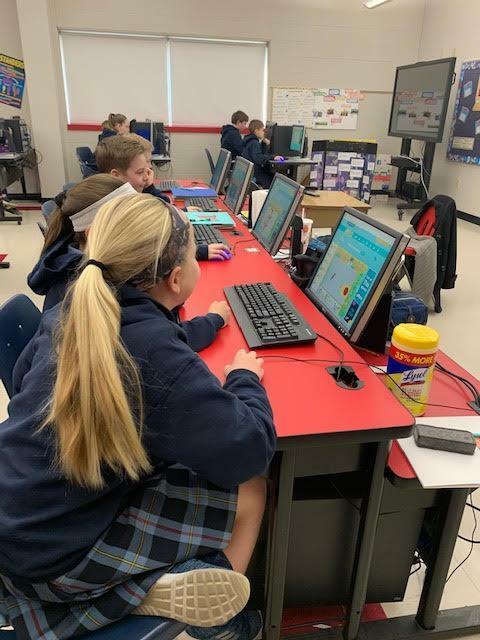 Students in grades 2nd to 5th had lessons in making computer animations this past month. Students created their own storyboard, then formed groups to use the more advanced features of the animation app. Students were surprised at how many frames needed to be created for a few second video. This lead to a discussion on how many frames a full length movie might have. Everyone seemed to enjoy making these short movies using Abcya Animate and Zimmer Twins Animation.